Home news politics Nigeria re-elected into UN Human Rights Council. 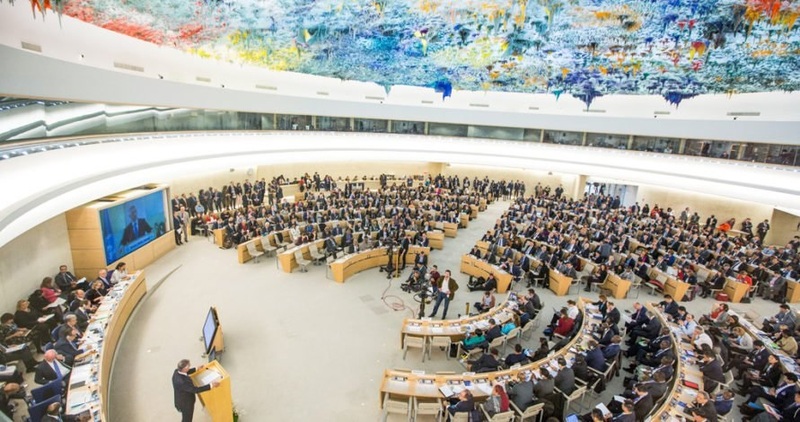 Nigeria re-elected into UN Human Rights Council. The Ambassador/Deputy Permanent Representative of Nigeria to the UN, Amb. Samson Itegboje, told the Correspondent of the News Agency of Nigeria (NAN) in New York that Ghana and Sierra Leone stepped down for Nigeria. Itegboje said: “There were two slots for West Africa in the election and Ghana and Sierra Leone were also contesting. “However, we reached an understanding that West African countries could not be antagonising themselves and that we have to reach a compromise. “So we got Ghana and Sierra Leone to step down for Nigeria. But even at that, there were a lot of reach out we had to do beyond West Africa. “So this election has once again showed that Nigeria enjoyed a lot of goodwill not only among its West African bloc countries but also in Africa and across the world”. The UNHRC is a UN system inter-governmental body responsible for promoting and protecting human rights around the world. With the re-election, Nigeria, currently serving out its 2015 to 2017 term, would be among the four countries representing West Africa and the 13 countries representing Africa in the 47-seat Council. The other two countries on the council with Nigeria are Cote d’ Ivoire and Togo, which tenure expire in 2018. Ghana and Nigeria are already serving out their tenure for the 2015 to 2017 term while Ghana, which initially sought re-election like Nigeria, stepped down for Nigeria to get on board of the Council. Nigeria has illustriously served the global community on the UNHRC for three terms since the establishment of the Council in 2006. These are 2006 to 2009, 2009 to 2012 and currently, 2015 to 2017, and with the reelection, would remain on the Council till 2020. Reporter reports that the Permanent Mission of Nigeria to the UN hosted a reception party for envoys to launch Nigeria’s country’s re-election bid on Friday in New York to solicit countries’ “firm support” for Nigeria’s re-election bid.